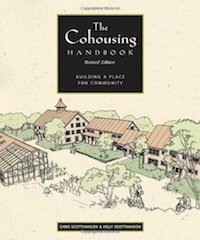 CHRIS SCOTTHANSON is the author of The Cohousng Handbook, one of the key texts on the development of cohousing communities, and a partner in Urban Cohousing Associates. In Urban Cohousing Associates, we specialize in front end project planning — local area preference mapping, site search, and land acquisition. We usually do budgeting and scheduling as a part of initial project feasibility evaluation, to make sure communities know what they’re getting into. We believe the best place to develop housing is within the existing urban grid of the city or small town. This may include the suburbs but it should, in our opinion, use an existing grid including sewer, water, and fire department access. Since 1989, we have successfully located and acquired development sites for communities in Vermont, Massachusetts, Texas, Kansas, California, Oregon, Washington, British Columbia, Alberta, and Saskatchewan. NESHAMKIN FRENCH ARCHITECTS, INC. is an architectural firm founded in 1985. A continuing strength of our firm has been its emphasis upon personal service. The firm’s founding principals were John W. French (1947 – 2014), AIA, and Linda C. Neshamkin, AIA. The firm has extensive experience in the design and construction administration of privately and publicly funded housing, civic and commercial structures, and have developed expertise in renovation, new construction, and the adaptive re-use of structures. In addition, we bring to our jobs 30 years of experience with a team of consultants, which includes landscape architects, civil engineers, and mechanical, electrical and structural engineers, enabling us to act as a single-source provider of professional services. 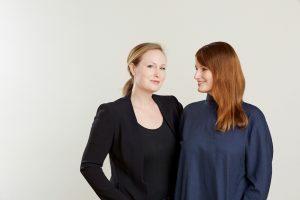 Jenny French and Anda French are principals of French 2D, PLLC, an architecture studio based in Boston. French 2D’s work explores models of overlap between architecture, art and information, examples of which can be found in many built and experimental projects. In 2013 French 2D was one of five finalists in the MoMA PS1 Young Architects Program. French 2D has recently worked on a 180-unit micro-housing building in Boston, which they approached as a ‘soup to nuts’ project – working on every aspect of building design, construction, interior design and large scale graphics. Current work in the office includes several homes on Nantucket, façade screen graphics for urban garage structures and a permanent exhibition space in the renovated Charlestown Battalion Armory. French 2D’s work has been published in Arch Daily, Architectural Record, and The New Museum’s New City Reader. Their work has been exhibited at the Museum of Modern Art, Syracuse University School of Architecture, the Boston Society of Architects Space, and the US Pavilion of the 13th Venice Architecture Biennale.